You will have a live wallpaper with quotations of love.Quotes LoveWallpaper is a picture of quotes love wallpaper with many raindropon screen and some butterflies flying across.Quotes Love Wallpaperis all wallpaper have quotations love best, the views of famouspeople about love between men and women, those sayings about lovebest.The Live Wallpaper has full setting free for you change alloweverything from Quotes Love Wallpaper . * 4 wallpapers HD aboutQuotes Love Wallpaper * Change auto background as slideshow *Config time auto change background * Change light when touch onwallpaper.For Use : HOME => Menu (or long press) => Wallpaper=> Live Wallpapers => Quotes Love WallpaperOr click ShortcutIcon on home screen for launching App ! 10-2402-9088, Seongbuk-gu, solsaem 08 Issue 3 way 30 won goshiwon Seoul City, South Korea. With Autumn Live Wallpaper Free, you will have the screen fallingautumn leaves rustling inside the little house in the woods. It isa very romantic scenery.The leaves many shapes falling motions willmake your screen more vivid.You have 9 different backgrounds andcan easily switch between such different backgrounds. You can makethe background image automatic switch as slide show background.Youcan touch the screen to move leaves and when you move touch thatwill create wind pushes the leaves fly farther.Upgrade to versionPro have full setting : * 9 wallpapers HD about Autumn * Changeauto background as slideshow * Config time auto change background *6 kind leaves falling on background * change number leaves falling* Config sound when Touch Bubble * Config Bubble, number, style.Wewill continue to upgrade new functionality of app . We hope yourate 5 stars for the app . Thank you !For Use : HOME => Menu (orlong press) => Wallpaper => Live Wallpapers => Autumn LiveWallpaper FreeOr click Shortcut Icon on home screen for launchingApp ! Many wallpaper nature for your phone !- 26 Wallpaper Free HDbeautifull of nature for your phone ! With Autumn Live Wallpaper Pro, you will have the screen fallingautumn leaves rustling inside the little house in the woods. It isa very romantic scenery.The leaves many shapes falling motions willmake your screen more vivid.You have 9 different backgrounds andcan easily switch between such different backgrounds. You can makethe background image automatic switch as slide show background.Youcan touch the screen to move leaves and when you move touch thatwill create wind pushes the leaves fly farther.Version Pro havefull setting : * 9 wallpapers HD about Autumn * Change autobackground as slideshow * Config time auto change background * 6kind leaves falling on background * change number leaves falling *Config sound when Touch Bubble * Config Bubble, number, style.Wewill continue to upgrade new functionality of app . We hope yourate 5 stars for the app . Thank you !For Use : HOME => Menu (orlong press) => Wallpaper => Live Wallpapers => AutumnProOr click Shortcut Icon on home screen for launching App ! Flower Pro Live Wallpaper with Bubble for live wallpaper . You have11 different backgrounds and can easily switch between suchdifferent backgrounds. You can make the background image automaticswitch as slideshow background.Upgrade to version Pro have fullsetting : * 11 background Flower * Change auto background asslideshow * Config time auto change background * Change Flowerstyle, number * 9 Flowers falling * 14 flowers for backgroundBubble * Show point broken Bubble * Change allow Bee, Butterfly Youcan touch the screen to broken bubble and when you move touch thatwill create wind pushes the bubble fly farther. We will continue toupgrade new functionality of app . We hope you rate 5 stars for theapp . Thank you !For Use : HOME => Menu (or long press) =>Wallpaper => Live Wallpapers => Flower Pro Live WallpaperOrclick Shortcut Icon on home screen for launching App ! Blue Sky Live Wallpaper is great app with 3D technology providessky clouds, fantasy planet.You will have a great feeling like flying in the clouds. Theplanets are turning fantasy feeling relaxed. Occasionally we willsee passenger plane fly over.App Blue Sky 3D was created by Open GL and Open SourceRajawali.Upgrade to version Pro have full setting :* 4 wallpapers about blue sky* Change speed flying of clouds. * Config auto move to center of scene. * 4 kind planet. * Zoom about planet and moon. * Change speed rotation of planet and moon. * Change appear moon, planet.We will continue to upgrade new functionality of app . We hopeyou rate 5 stars for the app .Thank you !For Use : HOME => Menu (or long press) => Wallpaper =>Live Wallpapers => Blue Sky FreeOr click Shortcut Icon on home screen for launching App ! Flowers Live Wallpaper Free with Bubble for live wallpaper .Youhave 11 different backgrounds and can easily switch between suchdifferent backgrounds. You can make the background image automaticswitch as slideshow background.Upgrade to Flower Pro Version havefull setting : * 11 background Flower * Change auto background asslideshow * Config time auto change background * Change Flowerstyle, number * 9 Flowers falling * 14 flowers for backgroundBubble * Show point broken Bubble * Change allow Bee, Butterfly Youcan touch the screen to broken bubble and when you move touch thatwill create wind pushes the bubble fly farther. We will continue toupgrade new functionality of app . We hope you rate 5 stars for theapp . Thank you !For Use : HOME => Menu (or long press) =>Wallpaper => Live Wallpapers => Flowers FreeOr click ShortcutIcon on home screen for launching App ! You will have a wonderful picture of natural waterfalls.WaterfallPro Live Wallpaper is the best live wallpaper about waterfall whichyou feel relaxed and comfortable with the sound of a waterfall orbirdsong in the forest .Features turn on or turn off all sound ofwaterfall, bird sound and bubble sound, just click on the top rightcorner of the screen. This is a new feature not present in any applive wallpaper.Waterfalls are commonly formed when a river isyoung. At these times the channel is often narrow and deep. Whenthe river courses over resistant bedrock, erosion happens slowly,while downstream the erosion occurs more rapidly .Waterfall ProVersion have full setting : * 3 background Waterfall * Change SpeedWaterfall * 10 Sound for Waterfall * 3 Sound of Bird in Forest *Change Bubble style, number * Change Bee, ButterflyYou can touchthe screen to broken bubble and when you move touch that willcreate wind pushes the bubble fly farther. We will continue toupgrade new functionality of app . We hope you rate 5 stars for theapp . Thank you !For Use : Home => Menu (or long press) =>Wallpaper => Live Wallpapers => Waterfall ProOr clickShortcut Icon on home screen for launching App ! New Flower Pink Love Theme is coming! Apply the Flower Pink LoveTheme theme to enjoy more FREE Wallpapers and Themes! Make yourphone stylish! Flower Pink Love Theme is our latest free theme withbeautiful Flower Pink Love Theme HD wallpaper and Flower Pink LoveTheme icon pack. The Flower Pink Love Theme theme is packed with HDFlower Pink Love Theme wallpapers and exquisite Flower Pink LoveTheme app icons, designed for mobile theme fanatics. Pleasedownload the Flower Pink Love Theme theme now, more surprises arewaiting for you to discover!Come and download the Flower Pink LoveTheme theme for free and make your Samsung, Huawei and any otherbrands of Android mobile stylish. You can enjoy with Flower PinkLove Theme: Cool themes and HD wallpapers- High quality Imagesspecially designed for your phone- Brand new beautiful themesupdated every day3D themes - Add Flower Pink Love Theme theme toyour 3D theme- Flower Pink Love Theme dynamic wallpapers with avariety of touch gestures, so you can feel the beauty of FlowerPink Love Theme at your fingertips.- More 3D themes and dynamicwallpapers with fluid 3D effects, experience today's cutting-edgetechnology.Live Wallpapers- Different live wallpapers, includingthe gold rose, waterfall and many more. - You can also add gesturesand particles to the wallpapers to make your phone look cool Otherbenefits: s- Different variety of themes, wallpaper, app icons anddaily updates.- We provide special designs during festive periods,whether it's Christmas, Halloween and other holidays, we will havea theme for you and everyone, so you can feel the festiveatmosphere that you love.- Like football, basketball and othersports? Find your favorite sports theme here, along with yourfavorite celebrities, cartoons, and anything else.- Experiencesmooth 3D and HD themes and wallpapers regardless of what phonemodel you useHow to apply the Flower Pink Love Theme theme? Toapply the theme, please install our launcher first. Apply theFlower Pink Love Theme theme, to make your phone faster, orderlyand cool. The original app icons, clock and weather theme of yourphone will be replaced by the Flower Pink Love Theme theme. We havedesigned many customized themes for popular apps, these includecamera apps, social apps, entertainment apps, useful tools andmessenger apps. Our app also provides you thousands of themes fromother categories, namely cartoon and anime themes, graffiti themes,gold themes, pink themes, black themes, love themes and many more.All of our beautiful themes are free and available at Google PlayStore. Download and apply Flower Pink Love Theme now! There aremore sports (football, basketball), games and other beautifulthemes waiting for you!Apply the Flower Pink Love Theme theme now,to make your phone faster and organized. The original app icons,clock and weather theme of your phone will be replaced by theFlower Pink Love Theme theme. Come and enjoy this Flower Pink LoveTheme theme of your mobile phone. If you have already tired of theboring screen of your phone, please enjoy this Flower Pink LoveTheme theme! 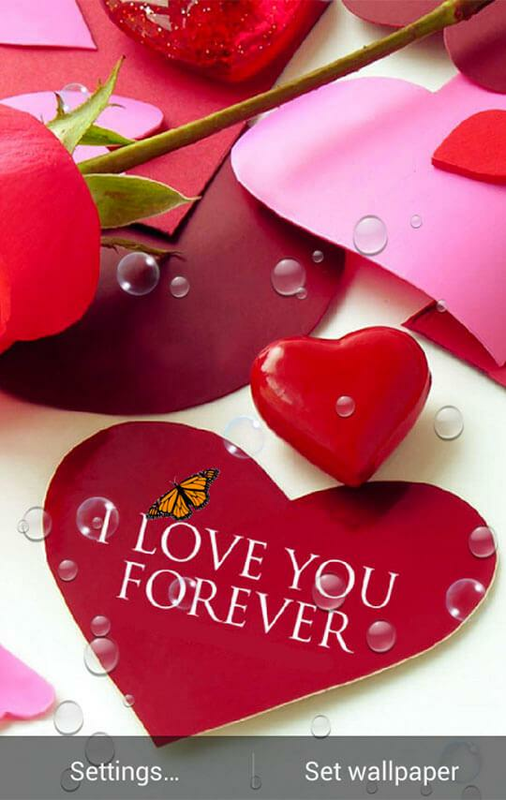 Love Pink Wallpaper app contains many picture of Love PinkWallpaper for you phone! Features of Love Pink Wallpaper : -Contain 100+ high quality pictures - 3D Love Pink Wallpaper -Fantasy Love Pink Wallpaper - Set as Wallpaper or Lock Screen -Share and Save NOTE: If you like the app, do not forget to press +1button, leave a comment and qualify ★★★★★ us positively, thanks. New Silky Pearl Love Theme is coming! Apply the Silky Pearl LoveTheme theme to enjoy more FREE Wallpapers and Themes! Make yourphone stylish! Silky Pearl Love Theme is our latest free theme withbeautiful Silky Pearl Love Theme HD wallpaper and Silky Pearl LoveTheme icon pack. The Silky Pearl Love Theme theme is packed with HDSilky Pearl Love Theme wallpapers and exquisite Silky Pearl LoveTheme app icons, designed for mobile theme fanatics. Pleasedownload the Silky Pearl Love Theme theme now, more surprises arewaiting for you to discover!Come and download the Silky Pearl LoveTheme theme for free and make your Samsung, Huawei and any otherbrands of Android mobile stylish. You can enjoy with Silky PearlLove Theme: Cool themes and HD wallpapers- High quality Imagesspecially designed for your phone- Brand new beautiful themesupdated every day3D themes - Add Silky Pearl Love Theme theme toyour 3D theme- Silky Pearl Love Theme dynamic wallpapers with avariety of touch gestures, so you can feel the beauty of SilkyPearl Love Theme at your fingertips.- More 3D themes and dynamicwallpapers with fluid 3D effects, experience today's cutting-edgetechnology.Live Wallpapers- Different live wallpapers, includingthe gold rose, waterfall and many more. - You can also add gesturesand particles to the wallpapers to make your phone look cool Otherbenefits: s- Different variety of themes, wallpaper, app icons anddaily updates.- We provide special designs during festive periods,whether it's Christmas, Halloween and other holidays, we will havea theme for you and everyone, so you can feel the festiveatmosphere that you love.- Like football, basketball and othersports? Find your favorite sports theme here, along with yourfavorite celebrities, cartoons, and anything else.- Experiencesmooth 3D and HD themes and wallpapers regardless of what phonemodel you useHow to apply the Silky Pearl Love Theme theme? Toapply the theme, please install our launcher first. Apply the SilkyPearl Love Theme theme, to make your phone faster, orderly andcool. The original app icons, clock and weather theme of your phonewill be replaced by the Silky Pearl Love Theme theme. We havedesigned many customized themes for popular apps, these includecamera apps, social apps, entertainment apps, useful tools andmessenger apps. Our app also provides you thousands of themes fromother categories, namely cartoon and anime themes, graffiti themes,gold themes, pink themes, black themes, love themes and many more.All of our beautiful themes are free and available at Google PlayStore. Download and apply Silky Pearl Love Theme now! There aremore sports (football, basketball), games and other beautifulthemes waiting for you!Apply the Silky Pearl Love Theme theme now,to make your phone faster and organized. The original app icons,clock and weather theme of your phone will be replaced by the SilkyPearl Love Theme theme. Come and enjoy this Silky Pearl Love Themetheme of your mobile phone. If you have already tired of the boringscreen of your phone, please enjoy this Silky Pearl Love Themetheme! She loves not the man who swears his love, and the one who quietlymakes you happy. I love its flavor, I like to hear him breathing, Ilove to watch him look like simple. Rose - the queen of flowers inall its glory. Love is like a blooming rose - not a puppet in thehands of a miserable time, erasing the roses fiery lips and cheeks.Bunch of fresh roses - nothing is more aesthetic. Red Roses Love -recently, the original decision of our designers. The applicationRed Roses Love is ready to decorate the screen of any phone ortablet! The application Red Roses Love has a number of advantages -full compatibility with 99% of Android-devices, does not need to beconnected to the Internet, it is economical to use the battery ofthe device, it has a very convenient and understandable system ofsettings. Introducing a pleasant and harmonious animated app RedRoses Love harmonious with quality graphics and animation. The newfree version. Red Roses Love - This is a cool animated livewallpaper with realistic spectacular effects. Screenshots ofApplication Red Roses Love , display options, and image effects onthe screen. Quick access to the setup menu by double touching thescreen. The user can disable the shortcut to the settings menu.This version provides the ability to turn on sounds - touch fingerworkspace center. If desired settings, you can turn off thesound-effect. Application Red Roses Love contains additionalComponents - it lights, sparks, drops. The relevant section of thesettings set number of animations. Interactive live wallpaper RedRoses Love support the use of a horizontal (landscape) format. Theapplication Red Roses Love has the ability to connect - disable theinteractive effect of water droplets on the glass. Drops of wateror dew flow down the phone's glass. When you touch your finger, thedrops realistically fly apart. In the application there is an on /off module on the front layer. Application Red Roses Love has beentested and works well on all major models of well knownmanufacturers of devices. Keep an eye out for the release of newupdated versions of the application. To raise the efficiency of ourwork, please send your comments by e-mail. Animated wallpaperscontain advertising. Follow the installation instructions Red RosesLove: 1. To download the application Red Roses Love on the device.2. From the menu, look for the icon setting device Red Roses Loveand run. 3. After activation of the application read it in the openprior proosmotra window. - Select the download button below thewindow and start the live wallpaper on your home screen. Spring is not so much the time of the year as the state of thesoul. Spring is full of mysteries and mysteries. In the spring thesnow melts - the first snowdrops, the first spring flowers willcome out from under the snow. Spring Love live wallpaper- simpleand beautiful app personolizatsiya your device. The applicationSpring Love live wallpaper is ready to decorate the screen of anyphone or tablet! The application Spring Love live wallpaper has anumber of advantages - full compatibility with 99% ofAndroid-devices, does not need to be connected to the Internet, itis economical to use the battery of the device, it has a veryconvenient and understandable system of settings. App Spring Lovelive wallpaper - is a simple and stylish solution for an animatedscreen saver on your phone. Augmented free version. Spring Lovelive wallpaper live wallpaper with graphic effects and believableanimation. At the demonstration images to the application SpringLove live wallpaper shows the typical options of the application.When you double-finger touch screen to the default page opens thesettings menu. Disabling direct access to the settings - the mainapplication menu. Pressing the center of the screen starts soundmodule matched to the theme. To turn off the sound using thesettings menu. Animated images are involved in the overall scenarioSpring Love live wallpaper. workspace animations Saturation isadjusted in the menu settings for your application. The new versionof the interactive wallpaper Spring Love live wallpaper proposesthe use of horizontal and vertical formats. The application SpringLove live wallpaper realizes the realistic effect of water dropletson the glass. Drops of water on the phone's glass are scattered ina random order. At the touch of a drop, the dew changes thetrajectory of motion. In the application there is an on / offmodule on the front layer. Program Spring Love live wallpaper workswell on a device known manufacturers of phones and tablets. Newversions of this app out periodically, depending on popularityamong users. Let us know in the mail about your wishes and problemson installing and using the application. In the app there is onlyproven advertising. Notes and hints INSTALLATION Spring Love livewallpaper: 1. Download to your phone or tablet app Spring Love livewallpaper. 2. General menu - icon = Spring Love live wallpaper = -launch. 3. After activation of the application read it in the openprior preview window. - Select the download button below the windowand start the live wallpaper on your home screen. 💕You can't miss the Sweet Love Keyboard Theme with newfonts&emojis. It can make your phone trendy and morefashionable than before! Download and Apply this Sweet Love themeright now ! Why Sweet Love Keyboard Theme is the right choice: *Every pair of stylish eyes would be caught if you install and applythis Sweet Love Keyboard Theme with the most gorgeous appearanceand the greatest sense of fashion. * The most attractive design isin Sweet Love Keyboard Theme. * Sweet Love Keyboard Theme isspecially generated for you to personalize and beautify your phone. * Your phone keyboard with Sweet Love will appear completely luxuryand fashionable. * Sweet Love Keyboard Theme with New Sweet Love HDwallpaper will make your phone awesome brand new. * You willexperience unbelievable pleasing, fluent and fast when you typewith Sweet Love Keyboard Theme. * Your wish to customize your phonecan be satisfied 100 percent by Sweet Love Keyboard Theme. SweetLove Keyboard Theme is definitely the most correct option for you.Download the Sweet Love Keyboard Theme right now! How to Use SweetLove Keyboard Theme: * Note: Please download and activate ourkeyboard first. * Download Sweet Love Keyboard Theme from PlayStore. * Click the icon of Sweet Love Keyboard Theme. * Click the“Apply” button or the preview picture of Sweet Love Keyboard Theme. * Bravo! You have installed and applied Sweet Love Keyboard Theme. * Enjoy Sweet Love Keyboard Theme with cute emoji and delicatefonts. 💕New features aiming at typing experience improvement: *Gesture typing will refresh your recognition of keyboard typing. *Next-Word suggestion would improve your typing efficiencytremendously by making suggestions using the previous word. * Autocorrection is able to minimize your spelling mistake. * StickerSuggestion provides a more vivid and easy way to express yourself.Your typing will be so lively and invigorating with StickerSuggestion feature. * Copy, cut and paste straight from emoticonkeyboard full support for mobiles and tablets. 💕More features youcan enjoy: * Kika theme Keyboard which has been loved deeply byover 20 million users support over 150 languages and stillcounting. * Kika theme keyboard provides amount of free and perfectstylish&fashion keyboard HD wallpapers to decorate your phonebackground, like anime HD wallpaper, cute HD wallpaper, emoji HDwallpaper and so on. For example, glitter HD wallpapers like GoldenBow theme, delicate themes like Sweet Love theme, cute animalthemes like Panda theme, etc. You can always find your favorite nomatter you like anime HD wallpaper, emoji HD wallpaper or cute HDwallpaper! * Kika theme keyboard allows you to customize keyboardtheme by choosing your own photos, HD wallpapers, emojis HDwallpapers, applock pictures or launcher pictures. You can alsochange the theme colors (including background and buttons),customize the font styles, fonts sizes and colors! Be the designerby yourself, hold your own style. * Kika theme Keyboard iscompatible with almost all android phones, including Samsung (Note8 / Note 7 / S8 / S8+ / S7 edge / J8 / J7), Huawei, Honor, LG,HTC，OPPO, VIVO, Smartisan, XIAOMI, MEIZU, One Plus, Lenovo,Motorola, etc. 💕Privacy and Security: Kika will never collect yourpersonal info and collect the photos you set as HD wallpapers. Weonly use the words typed by you to make the predictions moreaccurate. 💕Install and Apply Sweet Love Keyboard Theme, experiencean incredible typing! Believe that Sweet Love Keyboard Theme is theright choice for you!